This article examines the use of the Internet for gathering health information by boomers and seniors. 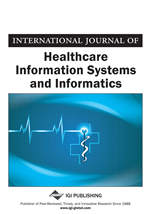 This study attempts to determine whether online health seekers (individuals that have Internet access and have searched for health information online) have changed their behaviors from the information they found online. Essentially, has online health information helped them to manage their health more effectively? This research analyzes the Kaiser Family Foundation e-Health and the Elderly public opinion dataset of access by boomers and seniors to online health information. The major results indicate that boomers marginally use online health information more than seniors for the management of their health. The most significant results indicated that boomers and seniors who are more aware and have positive feelings toward online health information would use it more to manage their health.